Earthquakes in Oklahoma are shaking up the politics of its natural gas friendly state government. According to a June 27th article in Energy Wire, Oklahoma’s Corporation Commission, under public pressure, will start collecting information and test data on underground injection wells. The problem is that Oklahoma have become seismically active. Between the months of October and May Oklahoma had more magnitude 3.0 or larger earthquakes (189) than California (with 139). Other reports state that the number of quakes in Oklahoma is double the number in Caliphornia. The locations of the quakes closely correspond with fracking sites. State regulators say to need more evidence of the correlation despite the stack of scientific, peer reviewed studies supporting the correlations. The U.S. Geological Survey reported 40 earthquakes greater than magnitude 2.5 around the world yesterday as of midafternoon — six of them were in Oklahoma and three were outside this suburb of Oklahoma City. The largest quake so far measured 5.7 and killed two people back in 2011, but the risk of higher magnitude quakes is growing. While Oklahoman’s are beginning to come out in significant numbers to public hearings to complain, state officials and regulators are taking starting to take the first step to address their concerns. New rules on injection wells, approved by Republican Gov. Mary Fallin last week, will require operators to perform more frequent mechanical integrity tests of disposal wells and keep daily records of the amount of fluids they inject and the pressures they use. Meanwhile, Skinner said, state regulators have told operators to shut in several injection wells for minor violations such as excessive pressure. The Corporation Commission also held formal hearings on two injection wells proposed near existing faults and asked the operators to do additional monitoring as a condition of approval. Previously, most injection well permits were approved administratively. According to The Oklahoman newspaper about four-hundred worried resident of Edmond, Oklahoma came out to a meeting this past Thursday evening to express their fear and concerns. Many of them had been awakened by a magnitude 3.5 quake near Edmond in the wee hours of that same morning. Oklahoma Geological Survey seismologist Austin Holland said there is no way to know what has caused the unprecedented increase in earthquakes in Oklahoma, although several studies have linked temblors to oil and natural gas activity, particularly wastewater injection wells. Many residents were no happy with the answers they got at the meeting. the problem isn’t just happening in Oklahoma it’s happening in Texas and Ohio and many other states where fracking operations are taking place. Alan Brundrett, the mayor of a small town call Azle, in North Texas, said his town has experienced an unusual number of earthquakes. He is upset by the lack of data and transparency of local fracking operations that make it hard to assess the issues. 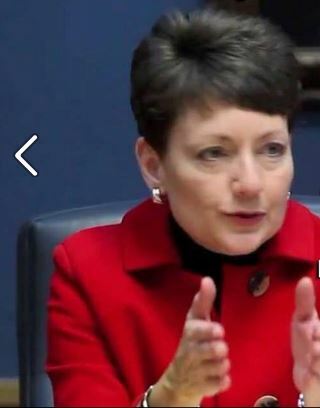 Brundrett said the Texas Railroad Commission would not draw a link between fracking activities and earthquakes in the meeting, but promised to investigate the matter further. Ramona Nye, who handles media relations for the Railroad Commission, told Al Jazeera in an emailed statement that the agency “does not have the jurisdictional authority to shut down an injection well based only on the presence of a nearby earthquake. “There has been no scientific proof that a specific well or wells have caused the Azle-area earthquakes,” she said, adding that the commission had hired a seismologist in April who is working to determine any links between fracking and earthquakes. State geologists in Ohio have already made the case that the quake activity there is the result of fracking activity. ast month, Ohio regulators indefinitely shut down Hilcorp Energy’s fracking operation near the Pennsylvania border after five earthquakes, one of 3.0 magnitude, rattled Ohioans. focused its research on seismic activity in Oklahoma over the past two years and concluded that a 4.8-magnitude earthquake centered near Prague on 5 November 2011, was “induced” by the injection wells. Two subsequent earthquakes, including a 5.7-magnitude “event” the following day, was the biggest in contemporary state history, were caused by the first earthquake and existing tectonic stresses in the earth. The growing body of scientific evidence and the growing public concern about fracking are reaching a critical mass and even the most business friendly politicians are starting to feel the ground shift. Coal ash is what’s left after coal is burned. It’s a toxic stew containing heavy metals including arsenic, lead and mercury. For many years Duke Energy has mixed coal ash with water and pumped this cocktail from coal fired power plants into huge open pits. 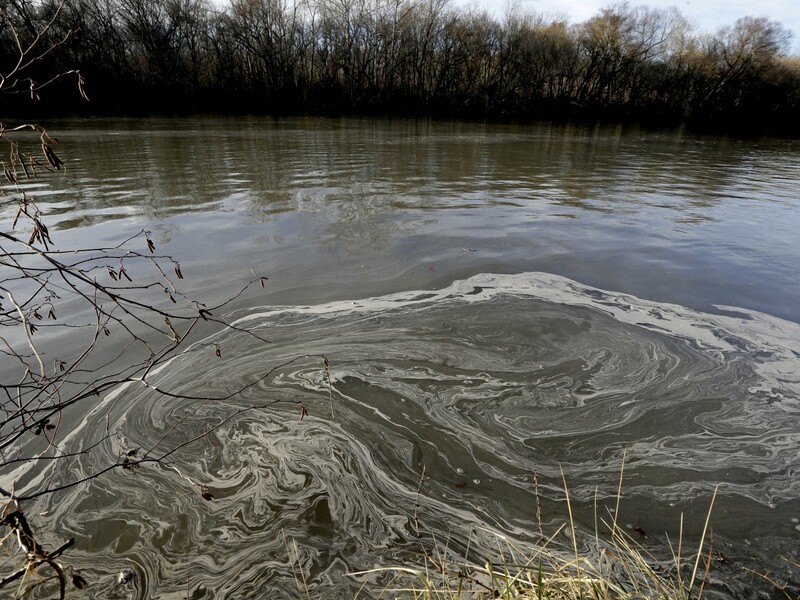 In February, one of the sludge pits located in North Carolina began releasing millions of gallons of toxic coal ash into the Dan River, a source of public drinking water for thousands of people. Duke Energy spent millions over the years to keep government from properly regulating their waste products. For all those decades the stockholders and upper management of Duke energy have profited from this arrangement. Now that the inevitable has occurred, clean up effort will take years and cost a billion dollars. Millions more will have to be spent to correct the improper disposal problems that Duke Energy has practiced for decades. Corporation are legally obligated to maximize profits for their shareholders. This would be fine if they were also legally obligated to paid the full cost of doing business without cutting corners. Cleaning up toxic spills is far more expensive than preventing themand regulations to enforce safe disposal are less expensive in the long run. But asking the victims of their environmental crimes to pay for cleaning up their mess and fixing their problem should not be an option. Let me tell you about my free rooftop solar energy system which I recently had installed. I’ve wanted solar energy for a long time, mostly because my wife and I are concerned about the global warming. We didn’t convert years ago because of the high cost and slow rate of return on the initial investment. We live in Northern New Jersey which has considerably less sunlight than, say, Arizona. When I first looked into it, solar panels were far less efficient than they are today so the cost/benefit for us couldn’t be justified. Now we are retired and improved solar panels have really lowered investment recovery times, but we may want to downsize or relocate in the next few years. We don’t want a solar energy project that won’t be paid off before we sell. The solution for us was one of the new solar energy lease program that installs and maintains the entire system for free over a period of years. The solar panels send power directly to the power grid in an arrangement with the utility companies know as “net metering”. The solar electricity generated is deducted by the utility company from the power that I use. When we generate more power than we use the utility company gives us a credit. On months when we use more power than we generate we apply the accumulated credits and pay for any difference. There is a catch, of course. The company who owns the system on our roof also owns the electricity it generates. We pay them for the solar electricity that we use, power which the original utility company no longer supplies. In effect, the solar energy company becomes our energy provider. For the use of our roof the solar company sells us this electricity at a discounted rate. In our case we paid nothing for the system, we will pay nothing for its maintenance over the next 20 years and we will save on our electricity bill each month. Our solar electric rate is structured to increase the amount we will save each year over time relative to our current provider. We were told that over twenty years we should save about eighteen-thousand dollars by switching to solar through this lease program. The real beneficiary in all this is the environment. Over the course of one month we prevent over a quarter ton of carbon from entering the atmosphere. That’s three tons a year or sixty tons over the next twenty years. Through conservation measures our electric use is already half what a typical homeowner uses, so most people would save even more on carbon emissions. If everyone on our block had rooftop solar the atmosphere would be spared well over 3,000 tons of carbon a year. How did we pick a solar energy company? I would like to say we shopped and compared, but it didn’t happen that way. I stopped to talk with a person offering information on rooftop solar at a kiosk in Home Depot. This lead me to invite a sales representative from Rooftop Diagnostic to come to our home. The representative explained how the lease option worked and confirmed that our house was a candidate for a solar based on our homes orientation and the amount of sunlight it gets. Rooftop Diagnostics only designs, installs and maintains the system for a company called Enphase Energy and neither of these two companies are affiliated with Home Depot. 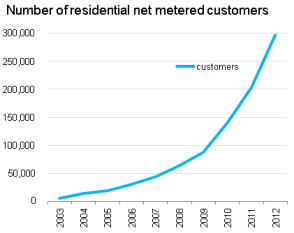 Under a net metering arrangement homeowners are not allowed to produce more power than they use. This means that rooftop solar installations can’t be designed to produce more than 100% of the homeowners average annual energy use. The initial electricity rate the solar company charges is somewhat negotiable, but it should be at or slightly below what the utility company charges now. Under our Enphase Energy contract our initial electric rate will increase by 3.5% per year, which they say is half of the historic rate increase for our current energy provider. That might sound like a lot, but the inflation rate over the past 10 years is 2.3%, so inflation alone accounts for most of the increase. In our specific case, our energy charge would start at about $36.00 per month and it will end up about $67.00 per month in twenty years. The power utilities also charges a delivery service charge each month based on energy use. Since about 96% of our electricity will come from the electricity generated on our roof, our delivery service charge will be 96% less per month as well. Also, while our current electric rates vary seasonally, our solar energy rates remain the same each month. After I first met with the solar representative, I searched the internet for more information to comparison shop, but didn’t find what I was looking for. I wanted a database listing companies that provide solar leasing options but there are none at present. A lot of companies on the internet offer solar instillations but important details are lacking. Unfortunately, internet information about solar electric companies is not as organized as is information about the sham alternative energy retailers that “compete” to sell you lower electric rates. These companies are wholesale purchasers of electricity who offer crazy gimmicks and low introductory rates to get you to buy power from them. 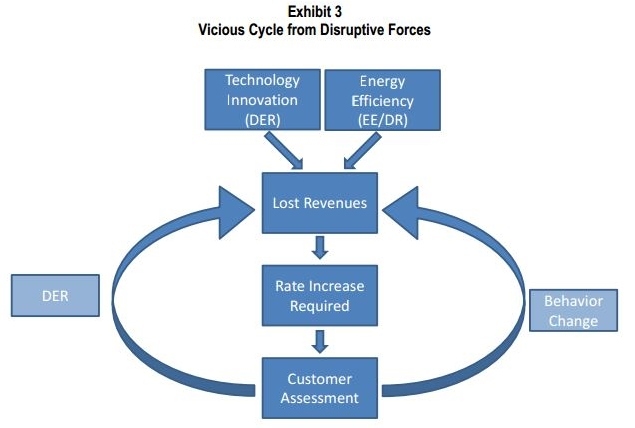 It is a dog and pony show masquerading as a competitive energy market, but the only real competition the utility companies face is from the nascent “distributed energy” alternatives such as rooftop solar and wind power systems. Even though these true alternative energy sources are a tiny fraction of the energy market, the big utility companies are already organizing to protect their business model and market shares. If you think you might be interested in a rooftop solar system, to buy or lease, it would be wise to act soon because the current financial incentives will disappear if the energy industry has its way. If you asked most forward thinking Americans to name a disruptive challenge we face today, global warming would be high on the list. Climate changing levels of carbon dioxide have been released into the air and the impacts on weather, on raising ocean levels and melting glacier are underway. The most socially responsible among us are already reducing their carbon footprint by recycling, buying more efficient cars, better insulating their homes, buying Energy Star appliances, using florescent or LED lighting. More and more people are also taking advantage of incentive programs to install rooftop solar or wind power generation systems. The impact from these early pioneers of change is still quite small relative to the problem, but it is significant. So significant, in fact, that the industries which release carbon dioxide to produce the energy we buy are feeling threatened. After all, every time you replace an incandescent light bulb with an LED bulb you reduce their revenue. Our power generation and distribution companies can adapt by getting into the LED lighting business for example, or they can maladapt by killing government regulations and initiatives to reduce carbon emissions. It appears they have chosen to do both. Some energy companies are investing in wind, solar or other renewable energy technologies while others are busy hatching plans to manipulate the democratic process in order to scuttle government incentives and regulations that threaten their bottom line. Encourage customers to shift non-critical usage of electricity from high-use periods to after 7 p.m. or before 11 a.m. This report suggests that energy conservation efforts and residential power generation over the next twenty years will reduce these energy company sales by up to 15%. About 76% of this reduction will come from residential customers, mostly from conservation measures. Numbers like these are causing energy companies everywhere to start defending their business model. The Arizona Public Service Company, for example, recently funded non-profit agencies to start what looks like a grass roots attempt to turn public opinion against both rooftop solar and the states’ publically elected Arizona Corporation Commission, which has final authority over utility rates. Rooftop solar initiatives are a prime target for utility companies both because of its rapid growth and the direct way these installations impact utility company profits. The reason why conservation efforts and residential power generation may be scary to utility companies from a business perspective becomes clear when you look at the bigger picture. The history of U.S. energy use is one of annually increasing demand. Population growth and consumer purchases of more energy reliant products guarantee increased electric demand well into the future. It remains a growing market, but the rate of growth is slowing. This has been true since the 1950’s. 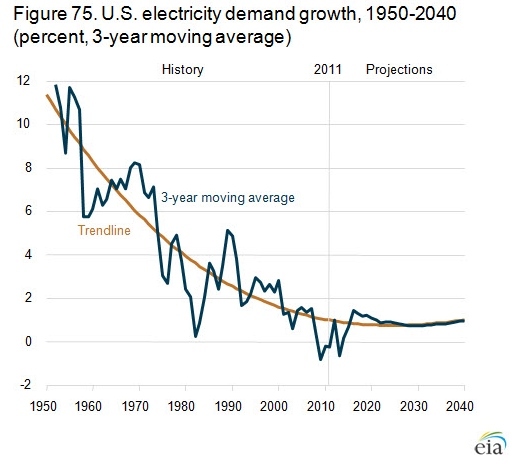 According to the U.S. Energy Information Administration, “The growth of electricity demand (including retail sales and direct use) has slowed in each decade since the 1950s, from a 9.8-percent annual rate of growth from 1949 to 1959 to only 0.7 percent per year in the first decade of the 21st century.” The following chart shows how the increase in electric demand is declining in this country. Meanwhile coal continues to be the biggest fuel source for power plants. The use of coal accounts for about 42% of the electricity we generate. Coal is expected to remain predominate though 2040, although its share of the energy generation mix will fall to around 35% of the total as natural gas and renewable energy soruces grow. This means that for the foreseeable future carbon emissions and growing electricity demand will still be with us if nothing changes. Of course nothing ever stays the same. The real question is whether the energy utilities, reacting to market forces, will dominate the direction we take in producing carbon based energy or whether pressure to save the planet will rise to a point where we can achieve meaningful reductions in green house gas emissions. While the number of homes with rooftop solar is still less than 1% of all residential customers, the trend suggests this mix will rapidly change in the coming years. At present, all but four states have passed laws permitting net metering incentives for homeowners. California presently leads the nation in the number of homes with rooftop and other home based power generation. 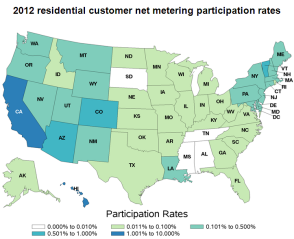 The next graph shows how net metering instillations are distributed among the states. The economics behind the jump in solar instillations is largely influenced by an 80% decline in the cost of solar panels over the last 10 years and by the Energy Policy Act of 2005, which requires all public utilities to offer net metering to customers upon request. Net metering allows consumers to directly subtract the kilowatts they generate from the kilowatts they use at the retail rate they pay for electricity. If they generate slightly more electricity than they use they are credited and can carry over that positive balance for a time so they can use it to offset periods where they use more power than they generate. Additionally, net metering requires that rooftop solar systems may not be designed to generate more power than the average use for a given home. In other words, a rooftop solar system cannot be used to generate more power than the homeowner typically uses in a year. The exact details of how net metering works varies from state to state, but the concept is the same. The problem, as framed by the energy companies, is that they are buying back electricity from customers at the same retail rate that they are selling it rather than buying it at the wholesale rate they pay power generation companies. The marginal difference between the wholesale rate and retail rate includes the expenses associated with transmission, distribution and maintenance of the electrical infrastructure (in addition to the utility company’s administrative expenses and profits). 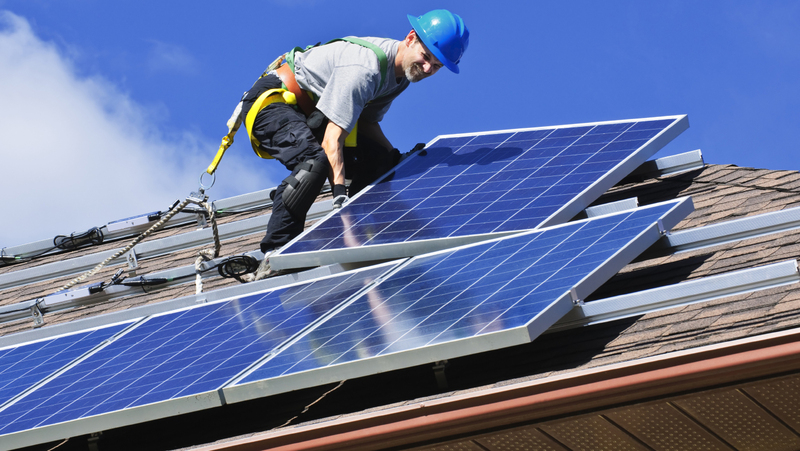 They claim that rooftop solar customers are no longer contributing their fair share towards these essential costs, shifting this burden to the utility companies and their non-solar customers. In their view, the per/customer cost of maintaining the power system will rise as the number of non-solar customers fall. Additionally, grid operators say they face additional costs associated with modifying the distribution system that allows electricity to flow both directions. Solar and renewable energy advocates say the energy companies arguments are specious and disingenuous. They say that the utility companies their real agenda from the beginning has been to preserve their profits and basic business model. In a recent article by EE News’s Climate Wire, Bryan Miller of the Alliance for Solar Choice is quoted as saying the alleged cost burden for upgrading the utility grid for two way transmissions isn’t true because solar companies are already paying for any legitimate circuit upgrades needed to connect solar customers to the grid. He also pointed out that the peak hours of solar generated power corresponds with periods of peak demand. This relives transmission congestion which saves money utility companies money. Peak shaving more than offsets grid interconnection costs, according the Mr. Miller. Other advocates have pointed out other value added savings for utility companies. Distributed generation by rooftop solar customers reduces line transmission losses. According to one source, in California, the largest solar market, distributed generation is cutting transmission losses by up to six-percent. Because solar generation peaks during peak demand periods, utility companies need to buy less electricity on the spot markets at higher wholesale prices. Additionally, customer based solar instillations improve the renewable energy mix for utilities relieving them of costs related to meeting federal guidelines for improved efficiency and greater use of renewable energy over time. On balance, advocates claim that rooftop solar delivers more value than it uses while utility companies argue that government grants and tax breaks offering up front incentives for solar conversion are better than ongoing rate-based incentives. […] all new eligible customer-generators shall be subject to the standard contract or tariff developed by the commission and any rules, terms, and rates developed pursuant to subdivision (b) of this section, and shall not be eligible to receive net energy metering pursuant to Section 2827. There shall be no limitation on the number of new eligible customer-generators entitled to receive service pursuant to the standard contract or tariff after January 1, 2017″. Early adaptors of rooftop solar or other consumer based energy generation systems are likely to have an financial advantage over those who come later. In general, net metering based on retail energy rates is considered an incentive program to encourage development of solar, wind and other renewable energy sources. The upfront conversion expenses for consumers will remain substantial in the near term. Government grants, tax breaks and current net metering structures are designed to overcome these barriers. Just how much value distributed solar energy has for utilities is still an open question complicated by the fact that laws and regulations vary from state to state. Advocacy groups are needed in every state to balance the interests of consumers and environmentalists against the interests of the big utility corporations. Correctional note of 9/6/2013: The emerging agreement on California’s AB327 bill would keep the net metering rate structure in place, not eliminate it as I mistakenly stated prior to this update. Also, a few technical corrections were made to the net metering paragraph. The image below is the most recent Fukushima radioactivity distribution map of the Pacific ocean. It speaks for itself of the scale of this disaster. Why isn’t this more in the news? What is our government doing for us? In addition to the storage tank problems and the unending addition of more tanks to capture the radioactive cooling water being pumped in and out of the reactor cores, there are cracks in the floor of the containment buildings leaking radioactive material directly into the Pacific. There are no viable plans to stop these leaks. There is also the impending disaster of the elevated spent fuel rod storage tanks that are at risk of collapsing. ADDENDUM: One day after this post a new BBC news story [ http://www.bbc.co.uk/news/world-asia-23940214 ] reported Japan will spend $470 million on a plan to freeze the ground between the reactor and the Pacific Ocean. It is hoped this frozen wall will contain the radio active water leaking from the reactor containment tanks. Well holes would be drilled into the ground at certain intervals and cooling pipes connected to a massive refrgeration plant would be inserted into the holes to freeze the ground along the shore. If the heated water leaking from the reactors doesn’t defeat the cooling system, it seems to me that the wall would actually function more like a damn and would only work if the geology under the plant is just perfect for this containment method. Being a seismically active area, this seems unlikely, but we shall see. Radiation levels 18 times higher than previously reported have been found near a water storage tank at the Fukushima Daiichi nuclear power plant, causing fresh concern about the safety of the wrecked facility. The plant’s operator, Tokyo Electric Power (Tepco), said radiation near the bottom of the tank measured 1,800 millisieverts an hour – high enough to kill an exposed person in four hours. Tepco said water levels inside the tank had not changed, indicating there had not been a leak. But the company said it had yet to discover the cause of the radiation spike. Last month Tepco said another storage tank – of the same design as the container causing concern at the weekend – had leaked 300 tonnes of radioactive water, possibly into the sea. Japan‘s nuclear watchdog confirmed last week it had raised the severity of that leak from level 1, an “anomaly”, to level 3, a “serious incident”, on an eight-point scale used by the International Atomic Energy Agency for radiological releases. Earlier, the utility belatedly confirmed reports that a toxic mixture of groundwater and water being used to cool melted fuel lying deep inside the damaged reactors was seeping into the sea at a rate of about 300 tonnes a day. Experts said those leaks, which are separate from the most recent incidents, may have started soon after the plant was struck by a powerful tsunami on 11 March 2011. The tsunami smashed into the plant after Japan’s north-east coast was rocked by a magnitude 9.0 earthquake. The waves killed almost 19,000 people, while the resulting triple meltdown at Fukushima Daiichi forced 160,000 people to abandon their homes. The high radiation levels announced on Sunday highlighted the dangers facing thousands of workers as they attempt to contain, treat and store water safely, while preventing fuel assemblies damaged in the accident from going back into meltdown. Japan’s nuclear workers are allowed an annual accumulative radiation exposure of 50 millisieverts. Tepco said radiation of 230 millisieverts an hour had been measured at another tank, up from 70 millisieverts last month. A third storage tank was emitting 70 millisieverts an hour, Tepco said. Radiation near a pipe connecting two other tanks had been measured at 230 millisieverts. 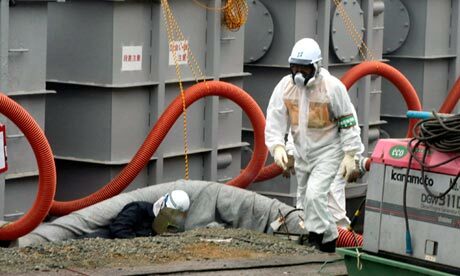 Tepco admitted recently that only two workers had initially been assigned to check more than 1,000 storage tanks on the site. Neither of the workers carried dosimeters to measure their exposure to radiation, and some inspections had not been properly recorded. The firm responded to growing criticism of its handling of the water problem by increasing the number of workers patrolling the tanks from the current total of eight to 50. The firm’s inability to safely store contaminated water and prevent more damage to the environment has prompted doubts about its ability to lead the Fukushima Daiichi cleanup. Decommissioning the plant is expected to cost tens of billions of dollars and last around 40 years. Tepco recently set up a committee to focus on the water leaks and said it would seek advice from foreign decommissioning experts. The prime minister, Shinzo Abe, has said the government will play a bigger role in preventing water contamination. Tepco’s handling of the leaks has drawn an angry response from local fishermen, who had to abandon plans to conduct a trial catch at the end of August. Fishermen south of Fukushima Daiichi have not been able to fish commercially since the disaster, while those north of the plant can catch only octopus and whelks. “We think that contaminated water management by your company has completely fallen apart,” Hiroshi Kishi, chairman of the Japan Fisheries Co-operative, told Tepco’s president, Naomi Hirose, during a meeting in Tokyo last week. Take one look at the state-by-state CO2 admission rates and it is immediately apparent that two states stand out from the rest, California and Texas. Of these two, Texas stands head and shoulders over California. Over the span of ten years Texas produced over 7.5 trillion metric tons of CO2, That is more than the 19 lowest emissions states plus D.C. combined. Amost 12% of al the CO2 emissions generated in the United States came from Texas. Californai produced 6.6% while Pensyulvania, Ohio, Florida and Illinois each produce between 4.6% and 4% of the nations CO2 emissions. What are the implications for carbon conservation when more than one-sixth (18.3%) of all CO2 emissions are coming from just two states? For one thing it suggests that focusing national efforts on Texas and California can produce the biggest improvements in the short term. Furthermore, the data suggests that half the states with the lowest emissions are already working harder to reduce further carbon emissions that higher CO2 producing states. Among the higher CO2 producing states, Florida, Georga, Kentucky, Missouri, Oklahoma, Arizona, Colorodo and South Carolina increased their carbon polution between 2000 and 2010. Of these, the states with the highest rate of increase were Arazona (9.9%) and Colorado (11.8%). The largest state increase in carbon emissions over ten years was Nabraska (16.0%). So focusing our national effort on just a hand full of states might be the best strategy to make the biggest and quickest improvements in our carbon footprint in the world. Energy-related carbon dioxide emissions vary significantly across states (Figure 1), whether considered on an absolute or per capita basis. The overall size of a state, as well as the available fuels, types of businesses, climate, and population density, play a role in both total and per capita emissions. Additionally, each state’s energy system reflects circumstances specific to that state. For example, some states are located near abundant hydroelectric supplies, while others contain abundant coal resources.This paper presents a basic analysis of the factors that contribute to a state’s carbon dioxide profile. This analysis neither attempts to assess the effect of state policies on absolute emissions levels or on changes over time, nor does it intend to imply that certain policies would be appropriate for a particular state. The term “energy-related carbon dioxide emissions” as used in this paper, includes emissions released at the location where fossil fuels are used. For feedstock application, carbon stored in products such as plastics are not included in reported emissions for the states where they are produced. Source: U.S. Energy Information Administration (EIA), State Energy Data System and EIA calculations made for this analysis. Note: The District of Columbia is included in the data tables, but not in the analysis as it is not a state.